Opel has distributed the first teaser of a new generation Corsa hatch. 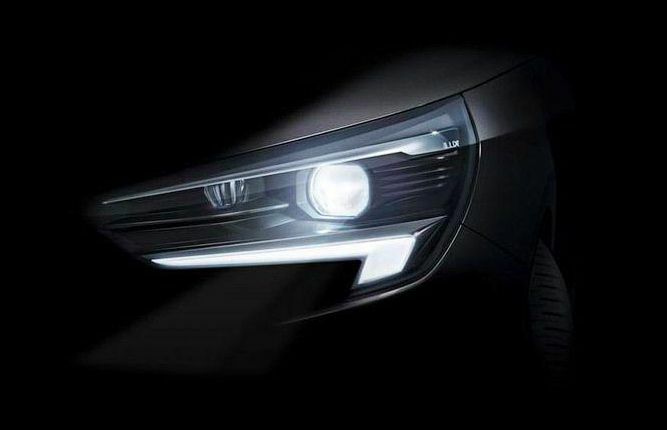 The machine will be provided with IntelliLux matrix LED-headlights, which have recently been present in two models of the company - Astra and Insignia. Detailed information on the sixth generation car remains unknown. If you believe the rumors, the hatch will be built on the modular base of the Common Modular Platform, which was created by the specialists of the French group PSA Peugeot Citroen. The vehicle will be driven by both petrol and diesel powertrains. Next, the machine will be replenished with a fully electrical modification. The entire model will be completely declassified in the current year. Estimated place premiere - Geneva auto show.